Joints designed with engineered constant torque withstand user touch forces, allowing single-handed operation of a display that once required one hand to operate the touchscreen and one hand to hold it in place (as shown). Jim Ford, Director of Global Product Management, Southco, Inc.
Healthcare devices are evolving as equipment designers integrate new technologies that enable new treatments, improve ease of use and provide enhanced information to healthcare providers. Advancements in display technology for instance, such as larger displays that improve visualization, and touchscreen and tablet-size displays for ease of use and device portability, offer more design flexibility to the manufacturers of this equipment. The introduction of new display technology translates to new design challenges for medical equipment manufacturers. 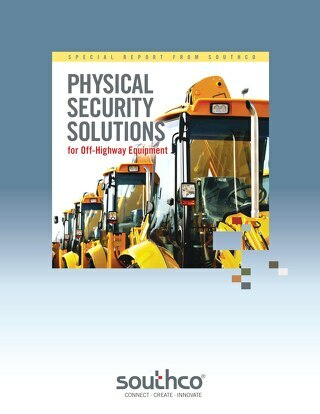 Many machines and terminals must be designed to accommodate portability and mobility, while still addressing end user safety and functionality. In addition to these challenges, manufacturers must also guarantee compliance with changing medical design requirements to prevent recall situations and safety issues. To achieve the highest level of customer satisfaction and meet design requirements, medical equipment must be designed with end user needs in mind. By integrating positioning arm and display mounting solutions designed with constant torque technology into medical equipment, manufacturers can meet the specific needs of the design, while enhancing user ergonomics. 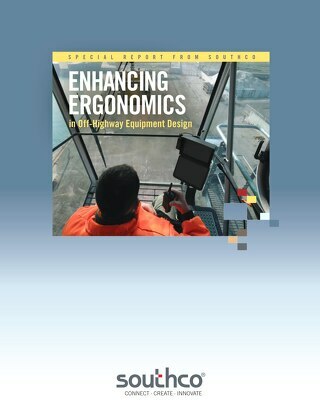 Whether offsetting the weight of a heavy screen or display to provide a more ergonomic, intuitive experience for the operator, ensuring secure holding of mobile devices as they are transported around a facility or addressing exposure to environmental factors, selecting the right mechanism can ensure user satisfaction and long-term reliability. The evolutionary nature of technology is changing the way that medical equipment is used in the field. Technological advances have allowed previously larger and more stationary equipment – such as ultrasound machines – to become more portable and accessible, allowing this equipment to be moved and relocated throughout healthcare facilities. However, not all designs are created equal. In 2013 alone, a total of 1,138 recalls were reportedly issued by the U.S. Food and Drug Administration (FDA) – a nine percent increase from 2012. And while these recalls cover a broad spectrum of medical products, the data reinforces the tremendous importance of well executed design. 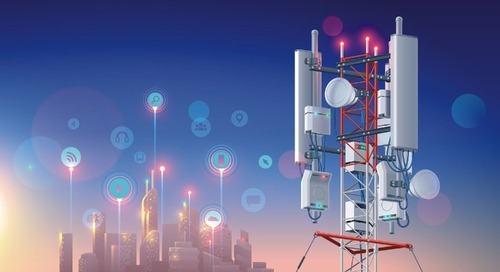 Though recalls more often occur due to device failure or health risks than by gaps in design, the key takeaway for engineers is that a successful design can ultimately prevent warranty issues and ensure high levels of end user satisfaction over time. In addition to preparing for potential design issues, medical equipment manufacturers must also ensure that industry standards are met. The FDA for instance, provides guidelines for improvements in medical device design, reprocessing procedures, validation methodologies healthcare facility quality assurance practices. The FDA’s guidance on Human Factors Engineering (HFE) in particular has become a key resource for designers of medical devices and equipment. HFE is best described as how humans use and interact with technology and equipment. In medical equipment design, HFE guidelines involve the interaction of human abilities, expectations and limitations, with regard to work environments and system design, and can be used by designers to create equipment that is safer and easier to operate. Ideally devices must be able to accommodate the full variety of end users, including variations in height, strength and vision. By applying human factors and usability engineering to medical equipment, manufacturers can prevent ineffective device design and the potential for user error in the medical environment. Good medical equipment design improves the daily job functions of healthcare workers and practitioners by simplifying operation and minimizing operator strain during use. And while much of the equipment in use in the medical environment today is designed to maximize usability, many display mount and positioning arm solutions do not meet end user expectations. 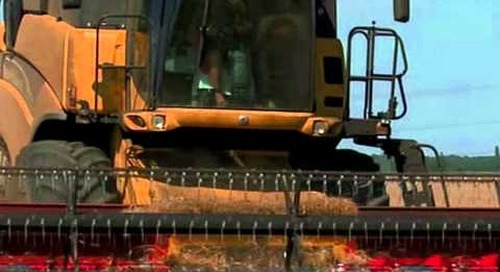 For example, many positioning arms feature easy operation that allows the operator to swing the arm into position, but there is often nothing to hold it in place. When the operator lets go, the arm moves back in place, forcing the user to constantly readjust it. Some arms are designed with locking levers, but often times these levers may require more than one step to adjust or may be locked down so tightly that operators may not even realize they can adjust it, so they don’t even attempt it. The AV-T Series allows a display to be tilted forward and backward. It can be outfitted with a counterbalancing spring to offset a heavy display to make it relatively effortless for staff to adjust the tilt angle. Display positioning or adjusting can be done manually, without the need for tools or levers. Arms that are designed with complicated adjustment settings also risk damage by the healthcare professional as well as the patient in some cases. Anytime there is an adjustment knob, well-intentioned individuals may not understand how to adjust it correctly, forcing the arm out of adjustment or outside of the intention of how it was designed. This can lead to maintenance issues or result in warped or bent components. While many display mounting solutions are designed with a tilt feature that can be adjusted to user height or lighting conditions, poor cycle life often causes the mount to malfunction by drifting or falling down into the same position. As a result, operation is no longer convenient or efficient; end users adapt by adjusting themselves to the screen, rather than positioning the screen accordingly to suit their own individual preferences. The portability of medical equipment and new advancements in touchscreen and imaging technology in the healthcare industry presents new design challenges for manufacturers. 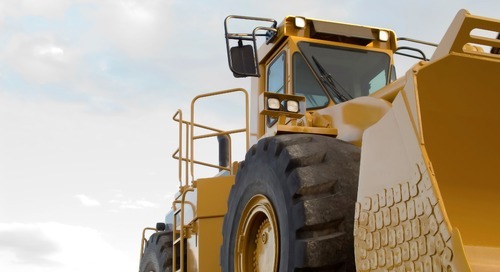 Machines and terminals must be designed to accommodate mobility, while still addressing functionality. Efficient medical equipment design should simplify operations and minimize operator strain during use, with the goal of significantly improving the daily job functions of healthcare workers and practitioners. Ultimately, the goal of the product design is to be “invisible” to the end user, meaning that usability is so streamlined that there is no impact or irritation for the individual operating the equipment. Usability challenges can be resolved by adding constant torque to display mounting applications. Constant torque technology uses engineered friction systems to provide continuous resistance against motion, facilitating ergonomics and design integrity by allowing the operator to adjust a display screen to their ideal position. 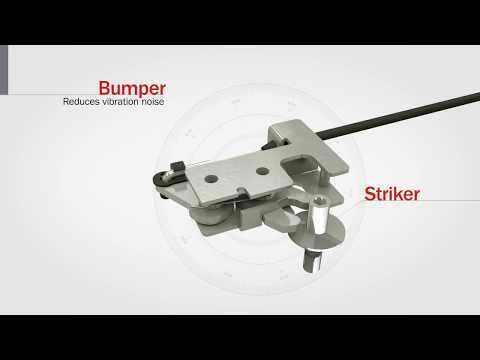 Positioning technology can also be incorporated into a variety of medical equipment applications by way of constant torque hinges, which are ideal for applications where it is necessary to easily open and close doors and panels, such as wall charting stations, medical cabinets and diagnostic equipment with heavy lids. Adding positioning hinges to a keyboard rest on a mobile medical cart for example, provides resistance throughout the entire range of motion, keeping the keyboard rest in position or allowing the user to easily adjust its angle. 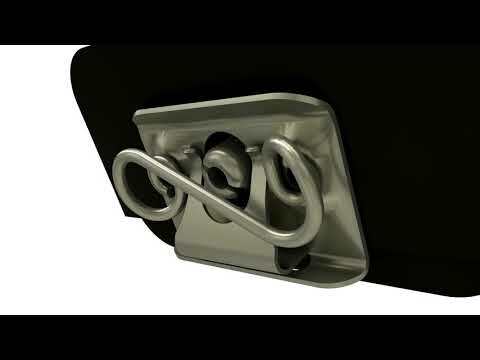 Designers have a wide variety of engineered hinges they can use to improve the ergonomics of cabinets, concealed desks or workstations, and other medical equipment. They include versions with detents that hold open lids or cabinets at predetermined positions; constant-torque hinges (pictured) that enable easy adjustment of a lid or swing arm and have it stay in place during use; and counterbalanced hinges that let users swing open heavy lids and doors with relatively little effort. 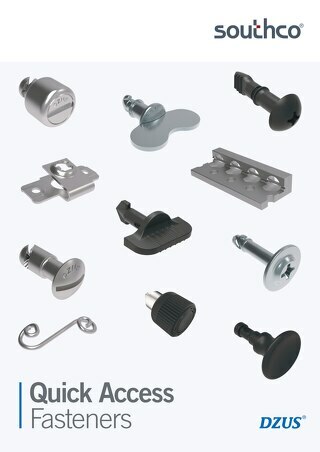 Hinges can be designed with different torque options as well. Counterbalanced hinges for instance, provide lift assistance, making it possible to raise heavy objects, such as a heavy centrifuge lid with minimal force, reducing back and shoulder strain. Detent hinges provide positive retention at predetermined points, such as fully open or fully closed positions. This allows healthcare workers to hold lids and panels open, providing rapid access while keeping both hands free. In addition to improving operator efficiency, equipment designed for use in healthcare facilities must be able to withstand the unique requirements of the medical environment, which includes exposure to everything from cleaning products and chemicals to temperature changes and potential biohazards. To avoid contamination, display mounts should be designed with minimal seams, creases or knobs for easy cleaning. Finishes used in the final design should be tested to withstand intended environments, fading and discoloration due to UV rays, solvents used for cleaning, temperature ranges and elevated or reduced temperatures. Mounts must also be designed to accept the rigors of the environment, considering not only the weight of the display being carried, but abusive loads from end users leaning against the display, and bumps and shocks experienced during transport. Display mounts that can be easily adjusted, yet still hold securely in position and prevent damage during transport, save operators readjustment time. This ultimately allows them to focus their full attention on the task at hand, rather than on the constant adjustment of the equipment. When wire routing is partially concealed, as shown on Southco’s AV Series Display Arm, appearance and cleanability are improved; this also provides easy access for wire replacement and protects against damage during transport and common use. As touchscreens and LCD TVs become more advanced, healthcare facilities are replacing and retrofitting existing equipment for cutting edge models and upgrades. Wires are a common point of failure in these and new cables must be routed through the arm to accommodate new technologies. Wire management systems that are built into the arm protect wires from damage and simplify installation, preventing maintenance from simply tying the wires to the outside of the arm. These integrated wire management solutions help to keep wires clean, protect against damage during transport and allow for easy replacement when devices are upgraded, or when equipment repairs are required. Addressing potential risks early in the design and development process is key to medical equipment design. Testing the design early not only helps the design control process, but also ensures that the equipment is effective, safe and easily operated by the end user. Choosing positioning arms and display mounting solutions with engineered torque technology can save time and additional engineering costs from the start of the project. Testing can be extensive and costly. If the product fails, the engineer is faced with weeks of redesign, followed by weeks of testing, design adjustments and more testing. Integrating a validated solution at the beginning of the design process is more cost-effective over time, because it reduces the likelihood that additional engineering resources are needed for system design integration and product validation. As a result equipment designers can spend more of their time on the overall design of the equipment, eliminating the risk, lead time and tooling associated with custom designs. Display mounts that incorporate engineered constant torque, like Southco’s AV-D32 Series, provide a reliable, off-the-shelf solution for mounting displays in challenging environments where vibration and touchscreen forces may impact operation. There are a wide range of options available to engineers looking to add friction to a joint to hold a display in place when designing medical equipment. However, when choosing a solution, deciding between off the shelf solutions and in-house development can have major implications on the ultimate success of the design. At one end of the spectrum, joints can be created with a nut and bolt, relying on the friction they provide to hold the panel securely once it has been moved into position. While appropriate in some limited duty applications, this method trades short-term cost for consistency and long-term reliability, and shifts the burden of performance validation onto the designer. Alternatively, engineers can choose a system with engineered positioning technology built in. 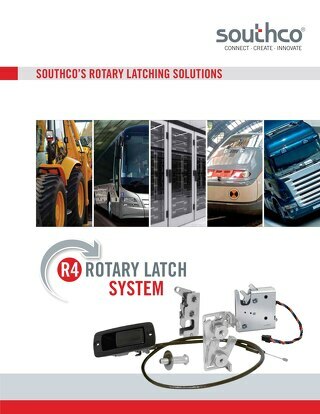 These systems, like Southco’s AV Display Mounting solutions, combine engineered torque generating elements, materials and lubricants to provide consistent, precise and reliable operating efforts for tens of thousands of operations, without adjustment or maintenance. In many cases, these systems reduce development time, eliminate warranty claims and improve customer satisfaction over time. For example, if a design requires that a ultrasound cart display monitor must tilt at between one and two pounds of effort, the equipment designer has two options: they can dedicate their time to designing a solution that meets these operating efforts, or they can simply choose a solution that already has this feature designed in. Integrated torque technology provides peace of mind that the equipment is always going to satisfy the requirements of the application. Can be tailored to provide specific operating efforts matched to the size of the display, operating environment, and desired human factors engineering. This ensures ease of operation is maintained, whether the design calls for a tablet-size display or a 40 inch monitor. 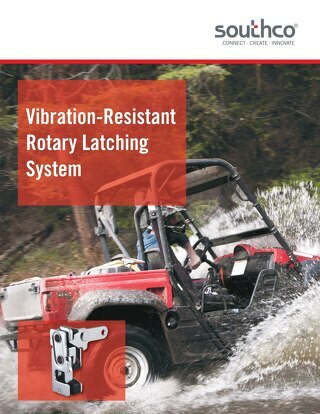 Offer reliable pre-set operating parameters with regard to repositioning effort, vibration and shock resistance. This assures consistent performance and prevents end users from inadvertently changing these parameters by “adjusting” the product in the field. Provide guaranteed operating effort for a lifetime of maintenance-free operation , dramatically reducing maintenance costs, customer complaints, and improving the end user experience. As new technologies continue to be introduced into the medical environment, manufacturers must be prepared to adapt to the evolution of traditional medical equipment design. Device portability and next generation imaging technology are changing how healthcare professionals use traditional medical equipment, presenting new design challenges for the engineers tasked with creating the equipment. To ensure that equipment is used safely and effectively, manufacturers must ensure that equipment meets industry standards for end user usability and end user satisfaction. The shift towards mobility and portability in medical equipment design demands improved operation and an ergonomic focus. To effectively and efficiently incorporate ergonomics into medical equipment, engineers should select components that are not only functional but meet ergonomic goals. Positioning arms and display mounts designed with constant torque technology offer designers the freedom to design effective medical equipment that offers improved operation, control and reliability, while ultimately meeting the requirements of the healthcare professionals who must use it on a daily basis.